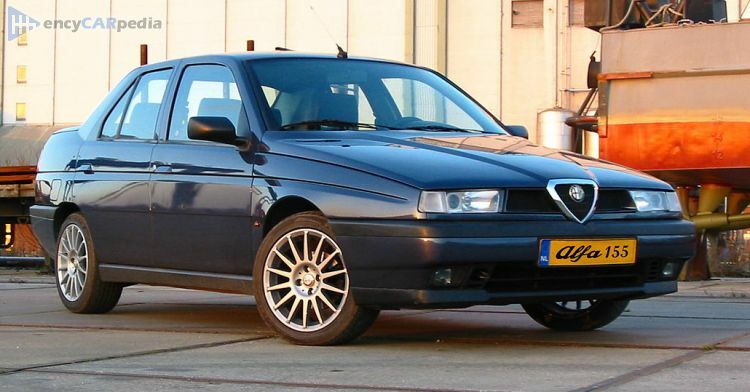 This Alfa Romeo 155 1.9 TD was produced from 1993 to 1997. It's a front-wheel drive front-engined medium sedan with 4 doors & 5 seats. With 89 hp, the naturally aspirated 1.9 Liter Inline 4 diesel engine accelerates this 155 1.9 TD to 62 mph in 13.5 seconds and on to a maximum speed of 112 mph. Luggage space is 18.5 cubic feet.